What is Ballpark E-Guides? It’s your #1 resource on the web…for MLB ballpark info, tips, and money-saving hacks…for 15 (and counting!) 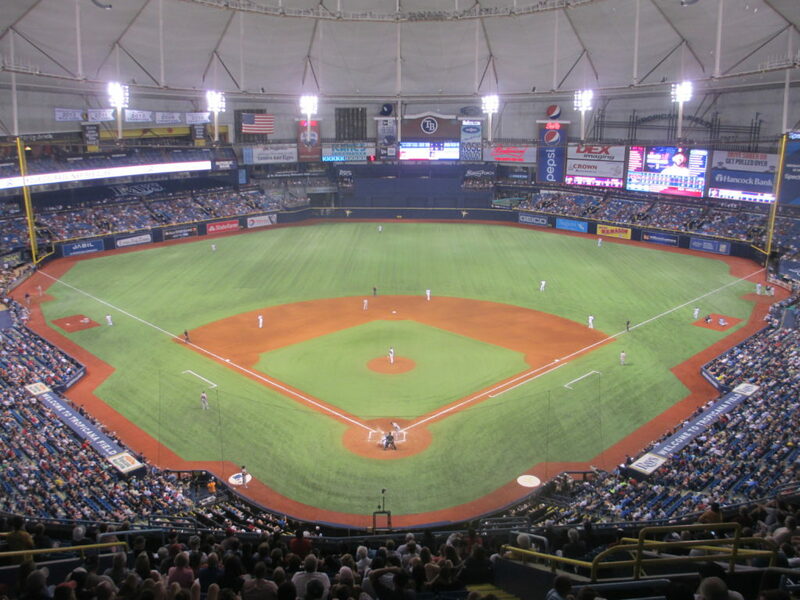 MLB ballparks – including Wrigley Field, Fenway Park, Yankee Stadium and more. 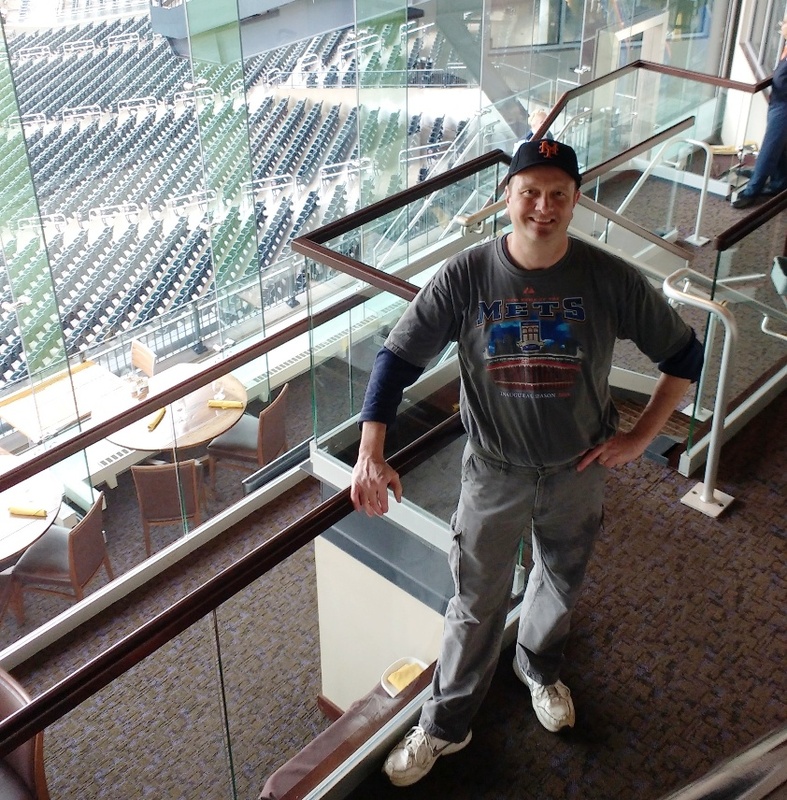 Kurt Smith, Author of Ballpark E-Guides…enjoying exclusive access with a $30 ticket! My name is Kurt Smith. You can read about me in the About section of this website, but all you really need to know is that I love live baseball and road trips, and like you, I have a limited budget. You won’t get an argument from me that a night at the ballpark is worth the ever-growing price. It’s one of life’s greatest features. But that doesn’t mean you should pay more than you have to. Whether you’re visiting a ballpark for the first time, or if you want to know more about a ballpark you visit a few times a year, this website will not only show you ways to save cash, but also get the most bang for the money you do spend. I’m here to help you choose the best seat for your budget, find the ideal route to get there, and wisely select from the crazy food selection at ballparks these days. Whether you’re flying solo, taking the kids, or going on a date, you can find valuable info here. Just so you know…there’s a lot of cool stuff here. So chunk it down. Click here to subscribe to the absolutely free Ballpark E-Guides e-mail newsletter. I’ll send you a week’s worth of e-mails…about finding ticket deals, choosing a seat, getting there and finding some great grub. And anytime I add something, I’ll tell you about that too. Again…all that info is free of charge. Although I will humbly request that you support this website’s affiliates and sponsors. Not to worry, they’re great products. You can read about some of them here. Thanks for visiting and subscribing…see you at the Yard!